Yesterday was a busy day: photographed 21 post offices and obtained the postmarks at 15. (To be fair, the rest were already closed and one was a carrier annex... and the other was a processing plant.) The highlight of my day in north Jersey was the Mount Tabor post office, which I arrived at at opening, 10 A.M. Saturdays. There I found a lovely photogenic office, which shares a building with the local volunteer fire company. Inside are classic PO boxes and dark wood paneling. The office has obviously been around a long time. Waiting in line I came across a 21-year-old stamp collector / seller, who gave me a Mount Tabor postcard that I had stamped and postmarked. I ended up buying a few early 1900s philatelic covers from him outside. The coolest part of the Mount Tabor office was its sign. Look at it -- it's in the form of a stamp coil! A wonderful touch, and the type of local flavor I haven't been seeing enough of these days. 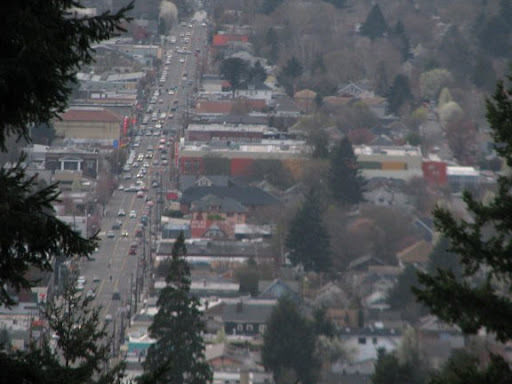 I went to Mount Tabor in 2008. Two things about the place I hadn't realized until then were that the post office was called Tabor until 1985, and that it was a camp meeting community. In the post-civil war era, a number of churches established camps for summer revivals. Many of those places started out as camping grounds, turned into summer cottage communities and eventually year round cottage communities. Most of them have long since ceased to be connected to the church communities that started them. Some of them had post offces, and some of those post offices are still operating.